Rare Ocean View Duplex Located on a Premiere Desirable North Hermosa Strand Walk Street Location!! Property Consists of a Stunning Upstairs 2 Bedroom, 1 bath Floorplan and a Spacious Downstairs 1 Bedroom/1 Bath Unit with Direct Access to its own Storage Room. Both Ocean View Units have Updated Chef&apos;s Kitchens, Breakfast Dining Areas and their own Washer/Dryer Utility Rooms!! 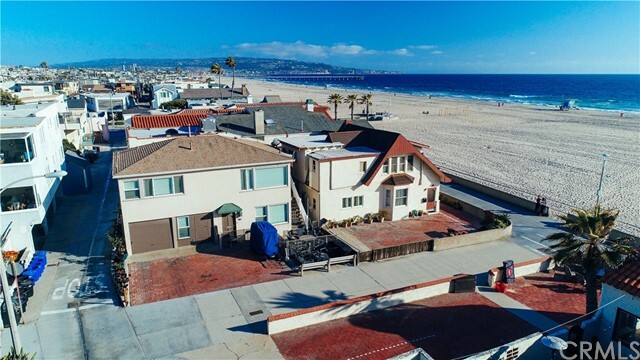 This Property Also Offers an Outside Enclosed Surfer Shower and a Walk-Street Strand Patio-BBQ Area Overlooking the Pacific Ocean & The Hermosa Beach Strand!!! Enjoy the Ultimate Casual Beach Lifestyle..Biking on the Strand and Watching the Dolphins Ride the Waves!! Walking Distance to Hermosa Beach&apos;s Famous Bottle Inn Restaurant, The Green Store and Martha&apos;s Restaurant! !